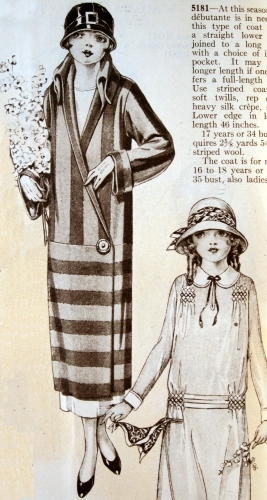 Striped coats were apparently quite stylish in the spring of 1924. 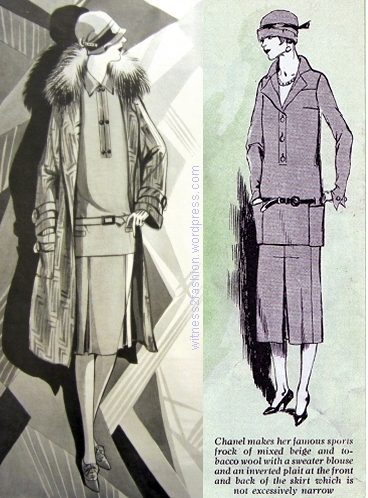 Butterick pattern #5181 suggested a boldly striped fabric for a woman’s coat, illustrated in misses’ sizes, and Ford Motors featured an equally bold striped coat in its March advertisement in The Delineator magazine. 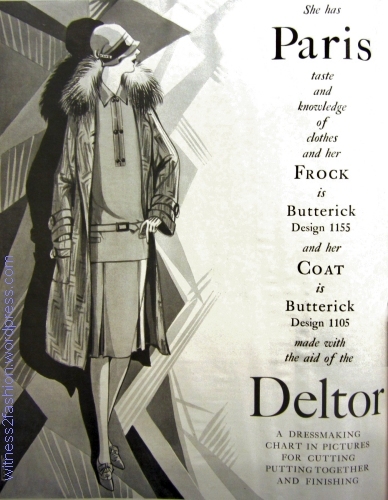 “5181 – At this season the débutante is in need of this type of coat with a straight lower part joined to a long body with a choice of inside pocket. 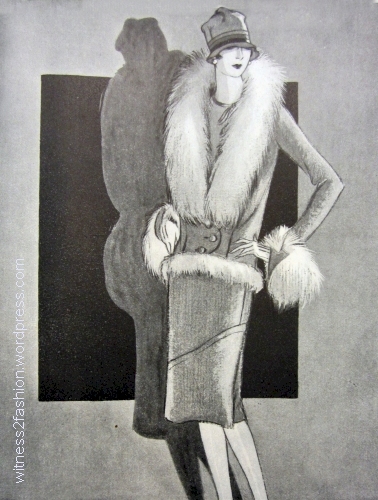 It may be a longer length if one prefers a full-length coat. 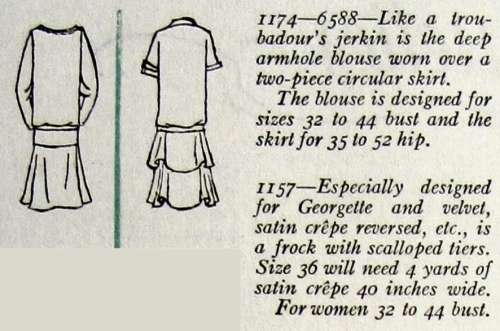 Use striped coatings, soft twills, rep cloth, heavy silk crêpe, satin. 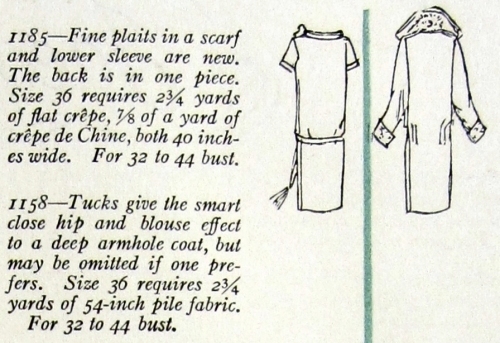 Lower edge in longer length 46 inches. 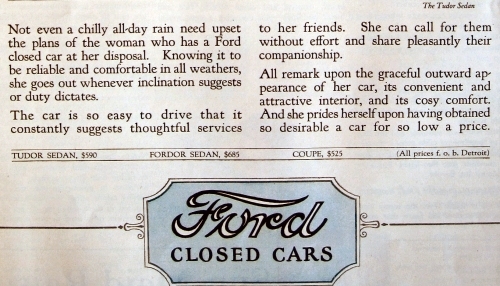 Ford was late to enter the closed car market, but when it did, a whole series of advertisements aimed at women appeared in the women’s magazines. 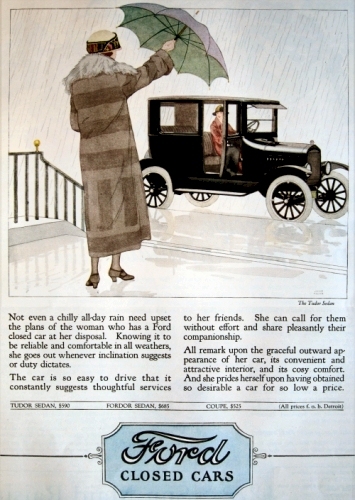 These ads always showed a woman driver, taking her children to school, shopping, or, here, giving her friend a ride on a rainy day. 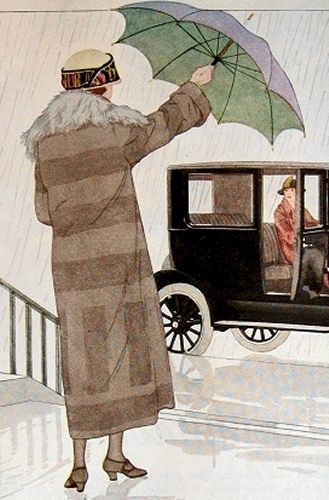 “The car is so easy to drive that it constantly suggests thoughtful services to her friends. She can call for them without effort and share pleasantly their companionship. 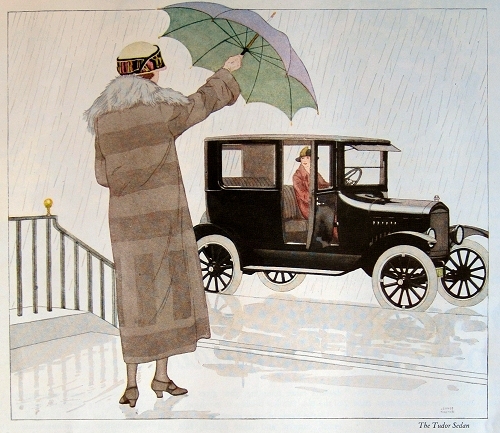 The Tudor Sedan pictured cost $590; the Fordor Sedan cost $685, and a Coupe, $525. I love the woman’s embroidered hatband. 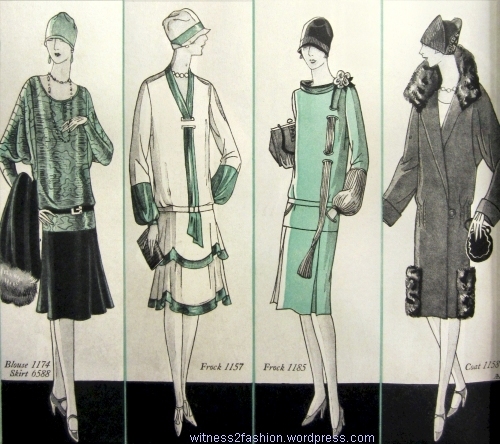 Incidentally, notice how long hems were at the beginning of 1924. 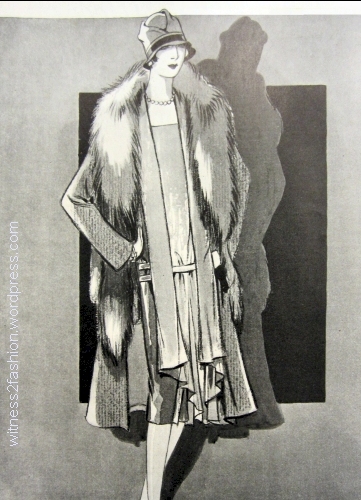 The miss who opted for the 7/8 length shown (#5181) would be wearing it as a full-length coat in 1925.